The Trump administration has recently proposed adding what I consider to be some pretty counterproductive new requirements for SNAP (aka food stamp) recipients. In response to this, I immediately signed a public statement in defense of SNAP as an advocate of unconditional basic income because we should be going in the direction of removing all requirements for food assistance and providing it as cash, not the opposite direction of adding additional requirements, most especially work requirements. Jim Pugh over at Universal Income Project who organized the public statement in defense of SNAP also created an online tool that enables basic income supporters to easily write and submit a letter-to-the-editor to their local papers. Using this tool, I wrote and submitted the following letter, which was published by The Times-Picayune on April 27, 2018. 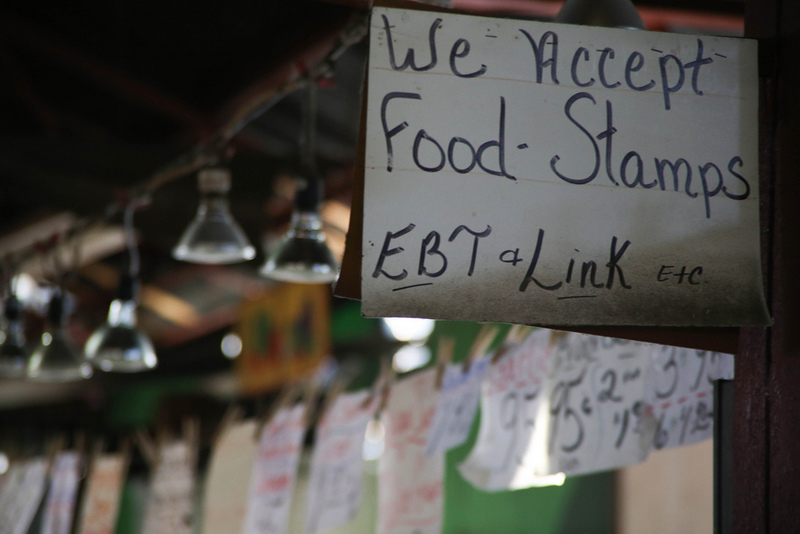 I may have missed Hurricane Katrina, having moved here to New Orleans in 2009, but I've been here long enough to see signs go up in response to other hurricanes and other disasters like our floods, where suddenly, recipients of food stamps (SNAP) are allowed for a limited time to purchase hot food. Hot food. This is a testament to the absurdity of the conditions already applied to nutrition assistance, where only in case of emergencies, are the poor allowed to eat warm meals. We treat those in greatest need as being so incapable of their own decisions, that not only do we not simply provide cash (as we do for the rich ad nauseam) but we attach condition after condition to the assistance we do provide -- and now are considering even more. The result is an ever-expanding bureaucracy of government officials who we pay to discipline us into no longer not having enough money. This city knows what it's like to need each other and to rely on each other. We know that sometimes the worst happens, and that making sure we can at least all eat, is a fundamental part of a community that cares for its own. No one reading this would ever accept being told to just go get a job after their city was destroyed. No one reading this would accept being told to just go starve because you've taken more than three months to find employment, where a full stomach tends to be an important element of job-seeking. We should be ashamed of ourselves for the way we already treat those in greatest need. The last thing we should be considering is treating them even worse. Should the assistance we provide each other have work requirements? No. The assistance we provide each other should be given in the same way we ourselves would like to be treated given similar circumstances. Call it the Golden Rule of the Social Contract. We're already breaking that rule, and it really needs to stop. I urge you to take the same actions I have here. Please sign the statement in defense of SNAP against increased requirements, and also write your own letter to your own local paper. Thank you!